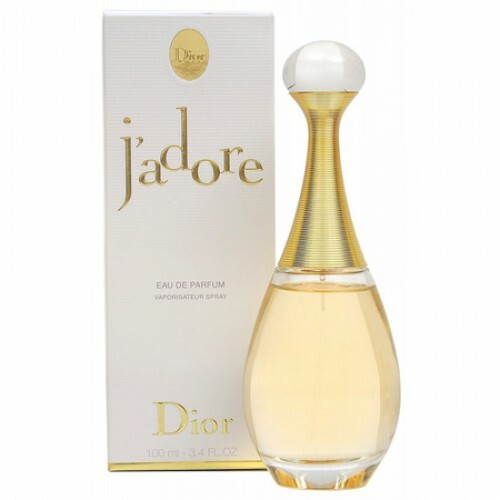 Christian Dior J'adore EDP is extremely feminine, light floral fragrance. Christian Dior J'adore EDP 100ml. 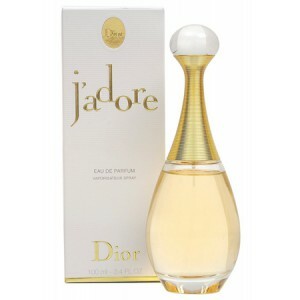 Launched by the design house of Christian Dior in 2000, Jadore is classified as a floral fragrance. This feminine scent possesses a blend of: floral orchids, violets, rose and blackberry musk. It is recommended for casual wear. The legendary fragrance for women. Released in 1999, it was not just a fashion classic, but quite necessary for every modern woman. These spirits know everyone who loves and understands the world "fragrant" art. The aroma mingled most kinds of flowers, such as the gentle orchid, violet France, endowed with new exotic, fruity aroma India magnolia, mandarin, ivy leaves, violet, rose, damascus plum, amaranth wood, blackberry musk. Truly rich and complex composition. Say "J'adore" and in response to the whole world recognizes you in love. It is an innovative and, at the same time, classic fragrance, created in 1999 year. This multifaceted perfume - embodied femininity. And even a bottle at J`adore custom resembling ancient Greek amphora. Good modern woman walking in step with the times. This enchanting fragrance consists of unique components in harmony with each other. initial note "blooms" scent of magnolia and violet tinged scent of mandarin fruit and leaves. Cardiac note contains a fragrance of roses and damask plum. Musk, amaranth wood and blackberry - this base note , wrapped train orchids and ivy leaves.